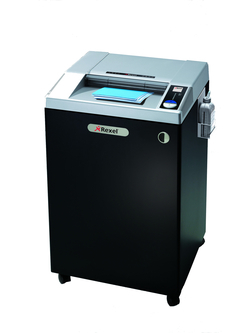 Designed for centralised, bulk shredding, this Wide Entry shredder comes with Micro-cut, providing high level security to destroy highly sensitive documents. It can handle up to 26 standard A4 sheets at once and its wide entry mouth will take up to A3 size. It has a huge 175 litre removable plastic bin and retractable metal frame that holds 225L plastic bags.